Maryland has a rich soccer tradition in the United States with several individuals who have been honored nationally in both the US Soccer Hall of Fame and the US Adult Soccer Hall of Fame. In addition, the Maryland Soccer Legends (formerly the Old Timer's Soccer Association of Maryland) has been the keepsake of our game inducting new members into the Maryland Soccer Hall of Fame. We congratulate and honor those recognized for their great achievements in the history of our sport. 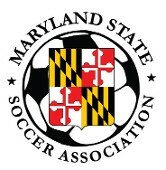 Copyright Maryland State Soccer Association. All Rights Reserved.